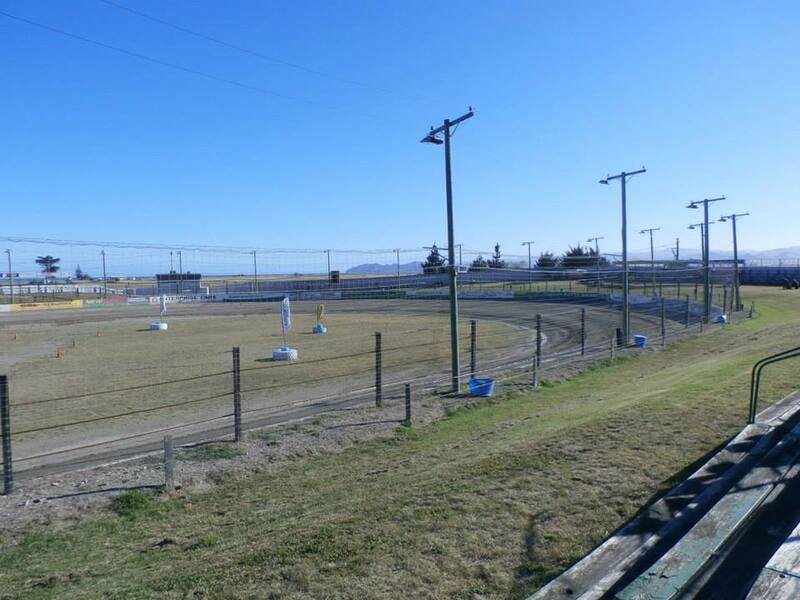 Location - The raceway is located next to the Airport on Awapuni Rd. If approaching from Napier simply make the turn into Awapuni Rd from State Highway 2. If approaching from Opotiki via the gorge that never ends, take the road into Gisborne town and hang right down Lytton Road. Go all the way to the end of the road and you should be able to see the track on your right. Parking - Parking is located inside the track complex. The carpark is not a huge area by any stretch of the imagination so mobility impaired patrons may want to get there early for the big events. Premiere Meeting - A full field of Super Saloons would be a sight to behold on this track so make sure you are trackside when the BK Super Saloon Series comes to town. Also worth attending - Streetstocks are the premiere class. The promotion has tried to get a Streetstock Teams concept going. A Streetstock Teams meeting or big Streetstock event should be worth attending. Best spot to sit - The track is almost totally surrounded by a 4-tier grandstand though there is some room for BYO seat and picnic blanket spectating. The majority of spectators chose the front straight, I suspect mainly due to it's proximity to the track entrance. The flagmans box appears to obstruct the view from some angles so watch out for that. Take the time to walk around to the back straight for a clear view of the track and less people getting in your way. For a standard meeting you should be able to nab a spot at the top of the 4 tiered stand. 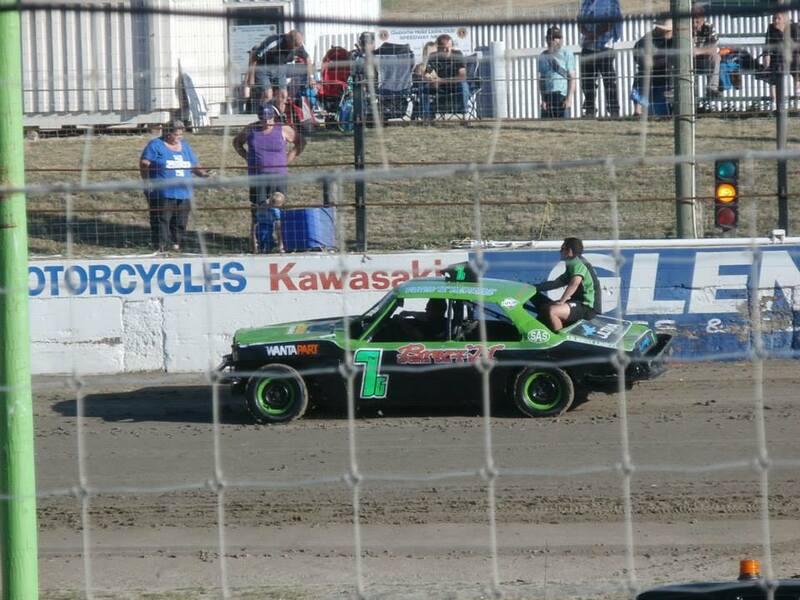 Classes run - Stockcars, Superstocks, Streetstocks, Saloons, Production Saloons, Youth Ministocks, Sidecars, Six Shooters. 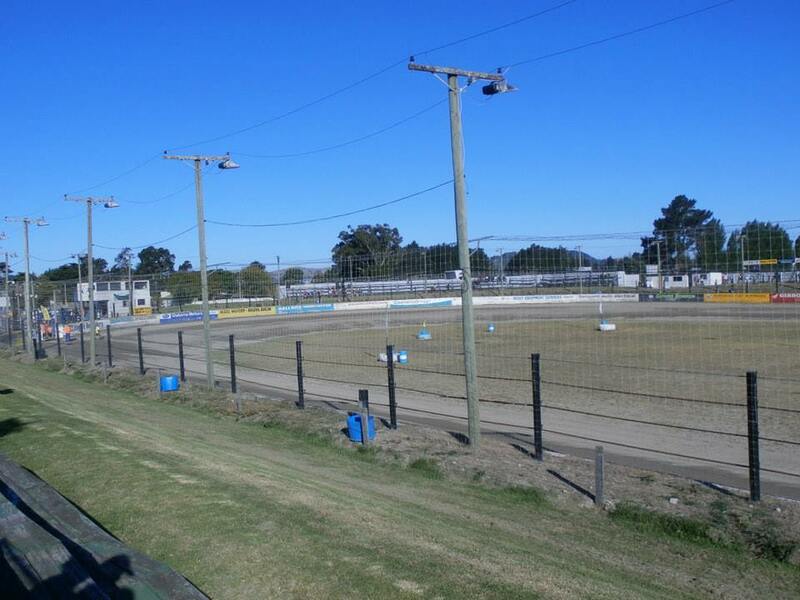 Uniqueness - By New Zealand standards Gisborne Speedway is a highly banked racetrack. It perhaps doesn't look that way in the photo's because the whole track is situated below the spectator area, thus we are looking from a birds eye perspective. 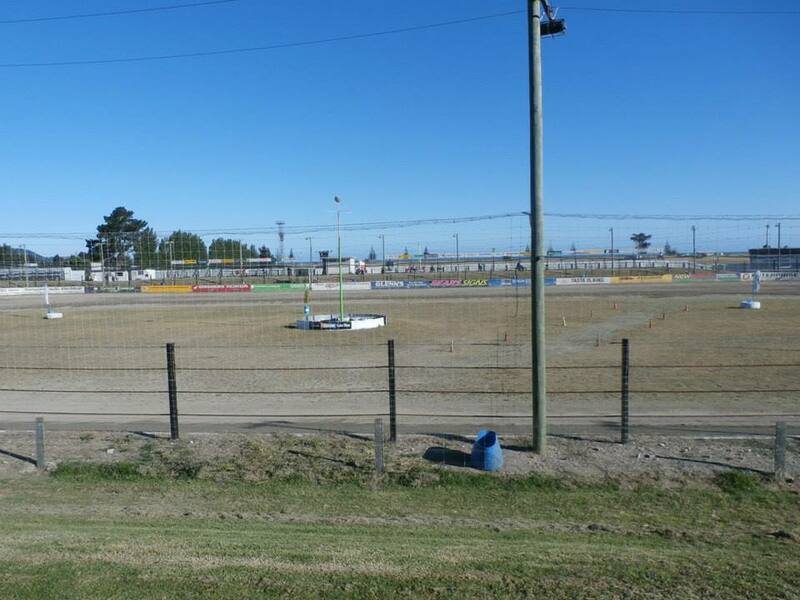 Strangely for a New Zealand speedway track there is substantial banking on the straights as well as the corners. 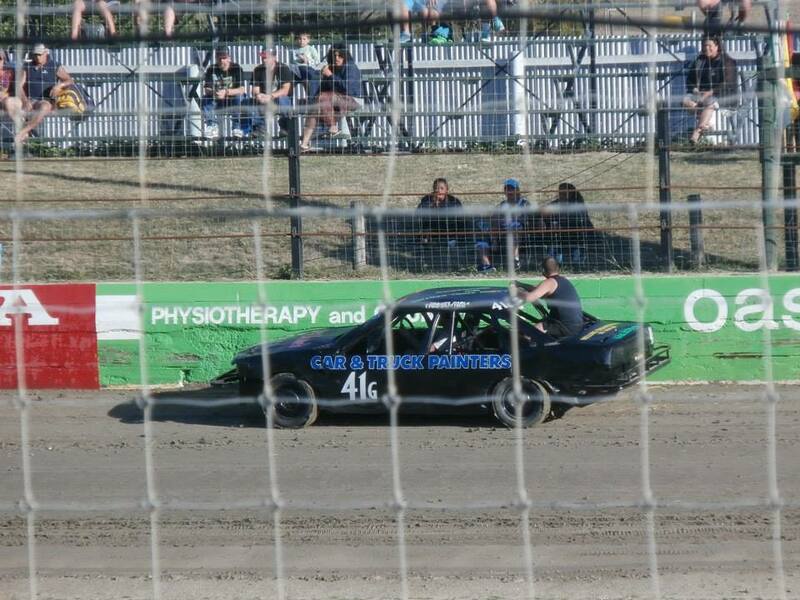 There's a saying about the track that "everything looks fast around Gisborne" and it certainly has an element of truth. Competitors can carry higher speeds into and through the corners with the additional banking. When Percy visited there were no big horsepower classes on the card but the track did appear to be a pole line track. 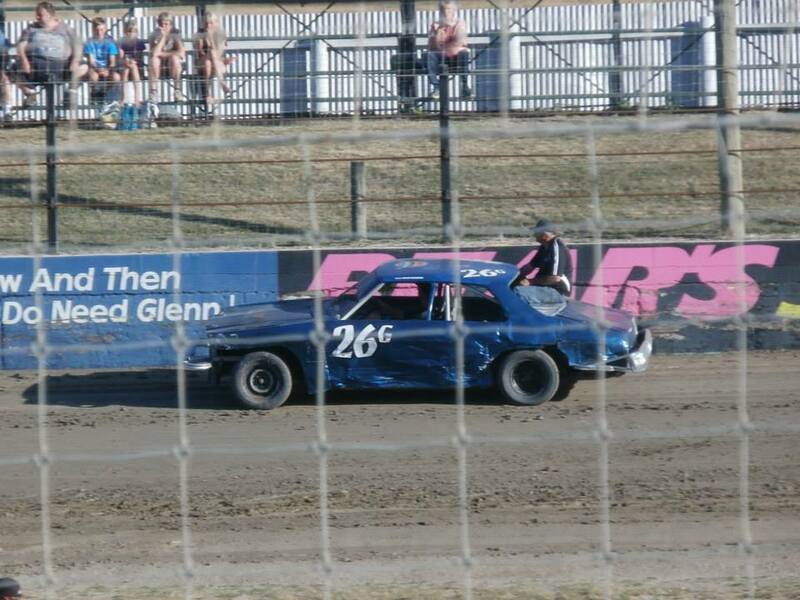 It would be interesting to see a big field of high horsepower cars take to the Gisborne highbanks.